I have recently noticed that the market of the personal mind managers software has been blooming as never before and a word 'mind' combined with extra words makes the following powerful coinages: 'mind organizer', 'mind manager', 'mind-notes', 'mind maps', etc. Seven years ago I was a big fan of Tony Buzan ideas for a 'mind structure' called: 'mind-maps'. I read his all books then, moreover, it inspired me to go for more and I started 'speed-reading' courses on my own. The result: each time I was learning or reading something bigger I always used to make mind-maps on a large sheet of paper with colourful pens. I used to like it very much, I can recall those drawings in my mind even now. I have never reached satisfying results (1,000 words per minute with 50% comprehension or above). Additionally, I have noticed that it was adapted more to simple reading of the news rather than for intensive (learning) reading when the subject is difficult and requires many 'mind-breaks' for, e.g. exercises. Moreover, I have read an article about this methodology weaknesses or even criticism and I have stopped using it at all. I haven't found a useful tool for organizing of mind maps. All the maps I have made are somewhere in the drawer, they are big and are not at one's elbow. During those seven years I made a few attempts to return to mind-mapping. One of the returns closest to success was with a tool FreeMind. With that new tool I made approximately no more than five maps and I finally gave up. Don't ask me why it hasn't succeeded, I may only guess that probably it wasn't for me or maybe the user interface simple wasn't friendly enough. A simple text editor for minds organizing has at least one tiny weakness, or speaking in general: it is a single, locally stored text file. Thus, to avoid that, I have installed Evernote, also known as NeverNote in Linux world (BTW, despite NeverNote has fewer functions than Evernote, in my opinion it is better to use a 'native' NeverNote for Linux than wine+Evernote). The result: with this simple Evernote cloud service I have solved the problem of simple minds managing. The second problem was still opened because in my opinion NeverNote is to weak to manage a stream of minds that comes with every next page. One week ago I found a very good UML video course accidentally, and what is more interesting, the author has made his smooth mind presentation with a mind map tool XMind. WOW! I have never thought it was possible to do such a smooth and professional presentation only with mind mapping. I have already known that it is good for mind organizing but not for presentation (BTW, I'm going to try that presentation option in the near future). Having installed Ever/NeverNote with XMind I feel that I finally have all the most necessary tools for a comfortable 'minds management'. NeverNote, with the cloud storage, has become my mind managing platform that can handle embedded mind maps from external, yet powerful XMind application. P.S. 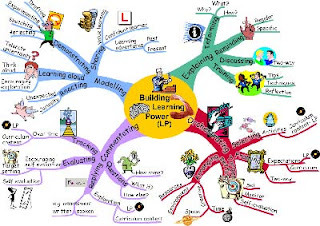 For more interesting (basic level) reading about mind mapping please visit this page.